Make your way to one of the coolest destinations this summer. Cosy Water Park has your fun ready and waiting. Download the Map and print for carying with you on your journey. 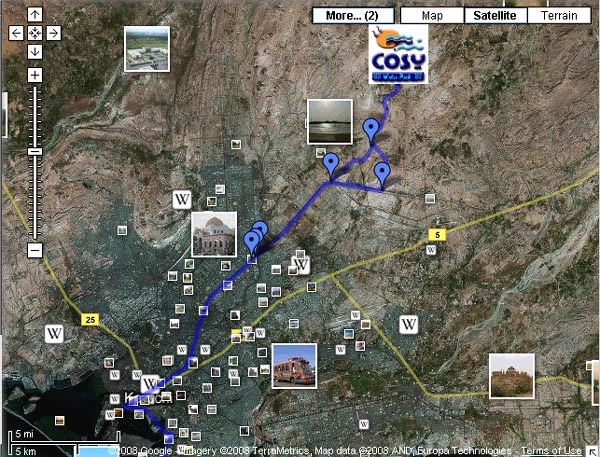 You can rely on its accuracy as it is sketched on the basis of google earth images. Dear Fast Internet Connection users if you are using Google Earth Map Option follow the instructions below after clicking the Picture above. How to Use Google Map? 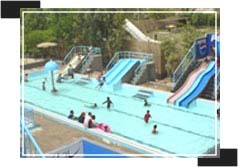 Cosy Water Park is shown on top of the map, if you want to see bird eye image of Cosy Water Park use the given control line (+) and (-) on left corner on google map to Zoom and Unzoom it as what are you watching on the map is the whole Karachi City from the SKY at the bottom is Clifton Sea View and Karachi Port. Double click to Zoom on areas you know by using Pictures and Wikipedia Links. Press Center button on the Controls located on top left corner to go back to the previous View. The Blue Line on the Karachi City Area is pathway towards Cosy Water Park try to find any area you know near that blue line. As this is for helping you find our location, there are two ways or options you can choose from to reach Cosy Water Park. I want to show you triangle connected with 3 balloons (1 on top and 2 at the bottom i.e. bottom left balloon means Big Highway Turn Option and bottom right balloon means Northern Bypass Option), appearing below Cosy Water Park, you can click the balloons and pictures through out the blue roadways to see important places connecting you to us. First option the(Big Highway turn Option shows as balloon on left side of triangle) is that when you reach that big and long highway turn (Bottom Left balloon of Triangle) at this is the point you need to slow down and take a left turn then continue following small road which will lead you to Cosy Water Park. 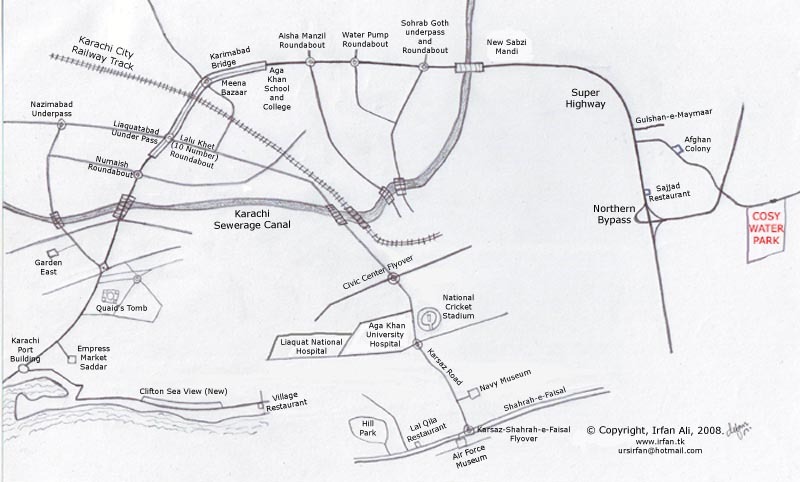 Second option (Northern Bypass Option shows as balloon on right side of triangle) is that you can go through Northern Bypass Highway after taking the long turn on highway (crossing the Bottom Left balloon of Triangle) keep driving straight on the highway till you reach Sajjad Restaurant, after that when you see northern by pass flyover, turn to your left and keep driving straight pass the toll plaza and don't take the first right turn, take the second right turn to get off the Northern bypass highway to the small road, then follow the small road leading you to Cosy Water Park. Both options are at choice if you want to reach us fast and want to avoid wear out roads use Northern bypass option, and if you are not in hurry and can bear with bumpy roads which are just temporary as wide road is under construction then you can use Big Highway turn option. Zoom and unzoom as you click the plus and minus signs. To see the near by points in the city where you pass by there is a list given on your left you can click to view Highways and Round Abouts, Quaids Tomb(i.e Heart of City), Markets, Bridges etc between Cosy's pathway or click on the photos. Still confused dial numbers on website or email me ursirfan@hotmail.com. If your internet is not good enough use the manual drawn version on the website. Please leave your comments about UPDATED Direction page on Feedback Page.